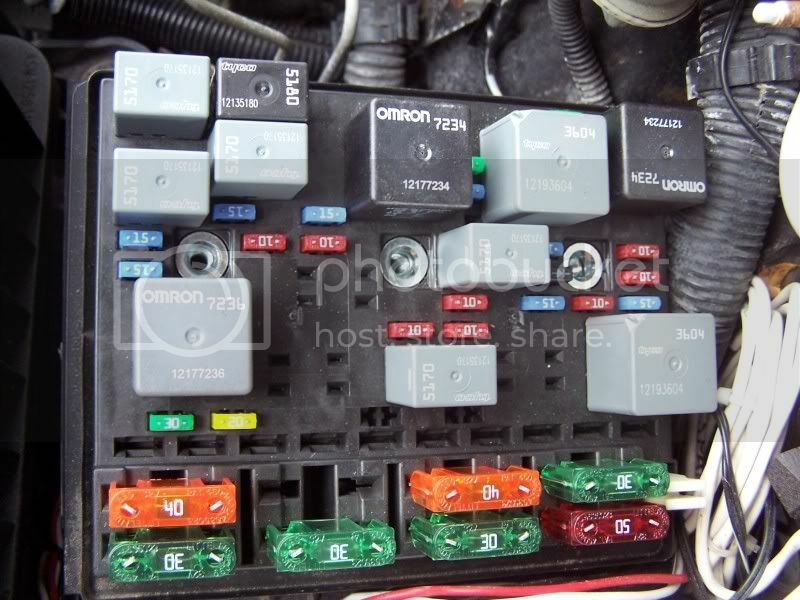 HowToRepairGuide.com: relay under hood on Pontiac Grand Am 3.3? HVAC Blower Fuse D (Right instrument panel fuse block) not shown here.This fuse D is in the instrument panel fuse box. Electric current supplied by the battery is routed through fuse D, and then to the fan speed selector switch. If the switch is set to 5 (high), the current gets directed to the control side of the realy #13. The relay trips and connects power from fuse 53 directly to the blower motor. If the speed selector switch is set to any other fan speed (1-4), current gets directed through the resistor pack, then to the "normally closed" side of the (un-tripped) relay #13 which routes the power to the blower motor. 2) Relay won't trip because it is stuck. You can bench-test this. 3) Relay won't trip because there is a bad ground on the control side. 4) Relay trips but won't connect because it is badly pitted. Difficult to bench-test because it requires a load in the circuit to make a determination. You can try swapping relay 13&15 because they're the same relay and see if that works. 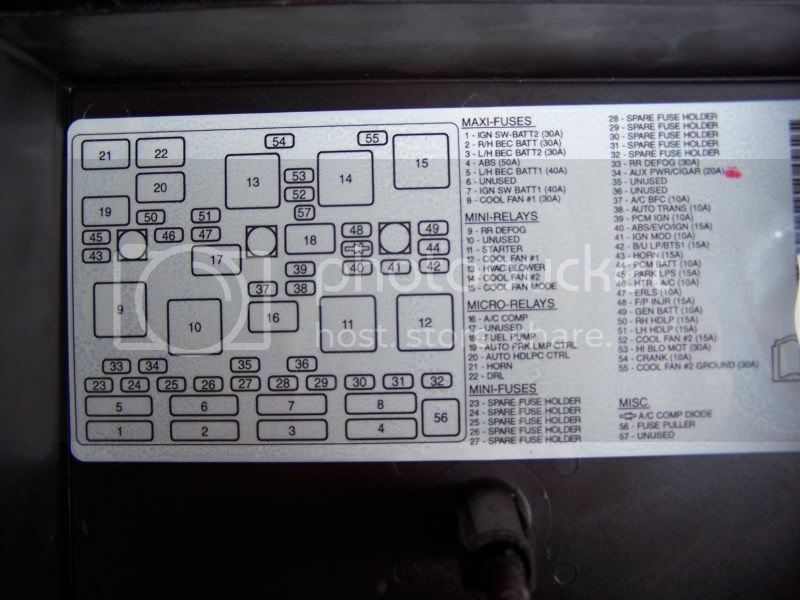 Labels: relay under hood on Pontiac Grand Am 3.3.